Since 1952 every year in Stoughton, WI., has had a city-wide event on the weekend closet to May 17th. It turns out that this is an even bigger event in Norway. On May 17th, 1814 Norway's Constitution was signed making Norway an independent nation. For the 500 years prior to May 17th, 1814 Norway was part of Denmark. 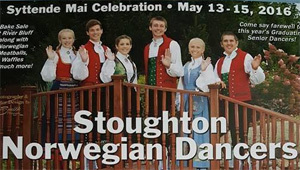 Wikipedia, an online encyclopedia, offers an in-depth explanation of Syttende Mai, including a very nice mention of Stoughton's version of the Syttende Mai event, going so far as to call it "the world's second largest Syttende Mai". Presumably Stoughton's version is not quite as epic as Oslo's version. 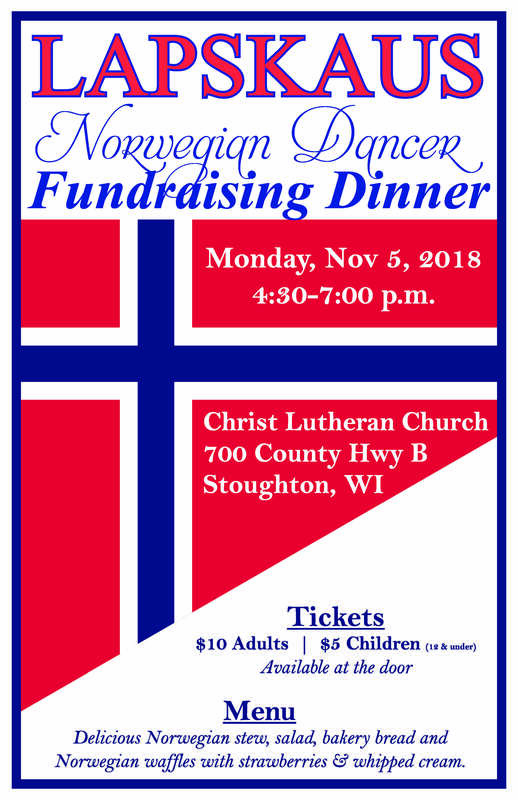 For the SHS Norwegian Dancers this is a big event. The Dancers are in the parade and give several performances throughout the weekend. We encourage anyone to come and watch, and all the alumni to come back to dance their favorite dance! Final Performance of the Year and Farewell to the Seniors!